Are stories important for humanity? Is telling a story through books, movies, or the extemporaneous tales of mom and dad delivered to the children at bedtime simply an insignificant means of mere entertainment? 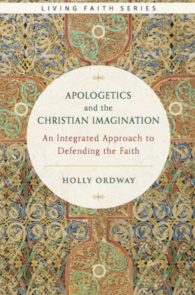 In her book Apologetics and the Christian Imagination, Dr. Holly Ordway shows us that in truth stories are powerful tools of conveying meaning, tools that are important for the work of spreading the Faith and forming souls in it. While showing great understanding of both apologetics and human nature, Dr. Ordway explores the relationship between reason and imagination and how the human person utilizes each to come to know reality. Furthermore, she instructs the reader on the art of Imaginative Apologetics, which is a richer, deeper approach in connecting souls with the Faith. In this entertaining and easy-to-read book, Ordway makes a convincing argument for this method of winning souls. C.S. Lewis, J.R.R. Tolkein, and George MacDonald are but a few of the masters of this technique which Ordway presents. Each figure is a fantastic storyteller with stories that, as she puts it, baptize the imagination that allow the person to find meaning in the Theological world and grow closer to the God hidden beneath the narrative. Ordway teaches, “Imaginative apologetics seeks to harness the God-given faculty of imagination to work in cooperation with reason, to open a way for the work of the Holy Spirit and guide the will toward a commitment to Christ.” Through the stories told by one practicing this method, the hearers are able to receive more than just a definition to memorize. 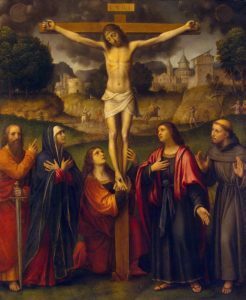 Instead, the hearers are given a deep descriptive tale that conveys the meaning of the Theological truths that sometime evade the persons being instructed. 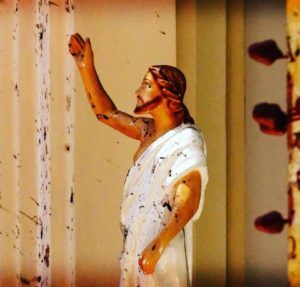 Being far from one to find the faults and leave us without a solution, Dr. Ordway emphasizes how we apologists can help our listeners create meaning and avoid the sophist misconceptions of our times by way of a good story. She creatively and intelligently instructs the reader by explaining the workings of linguistics and how we understand the various senses of speech that we hear. Furthermore, her understanding and delivery of the meaning of being literal is delightful to read. With the Church’s call for a New Evangelization, and many faithful Christians responding to bring the Gospel back to the hearts of humanity, this book is an important piece for our times. It instructs the bearer of Good News on how to carry out the work of apologetics as well as doing so in a way that allows the hearer of the Word to better grasp the meaning of the message. 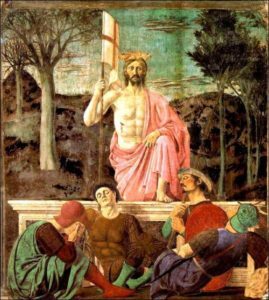 Moreover, it leads us to carry out this work in an aesthetic, sometimes even inconspicuous, manner, which would allow for Theological meaning to enter into the hearts and minds of those that might otherwise be opposed to the words delivered in a more outward manner. Especially in our day, we are witness to many artists, writers, and musicians working to evangelize through beauty. Dr. Ordway’s book is a wonderful companion for those who have heard and answered the call to do this. In fact, it would not be surprising if this book is a catalyst for more talented souls to take on such important work. Classroom teachers and catechists too can find inspiration to utilize more of Imaginative Apologetics with their students. The way Dr. Ordway presents it, we can see the powerful impact that this method is able to have on the hearts and minds of those being formed, especially the young. Finally, this book could be greatly beneficial for all people, both within the work of apologetics and without, as we can learn to find Faith and Truth in the stories we hear in our world today, whether these messages are intended or not. For these reasons I highly recommend Dr. Ordway’s Apologetics and the Christian Imagination to all those working in apologetics and evangelization alike. It is a remarkable manual for leading souls to know and understand the deeply profound truths of our Faith. Hopefully, it will even lead certain souls to become the next C.S. Lewis, J.R.R. Tolkien, or George MacDonald, and enlarge the library of good Christian stories available to mankind today.